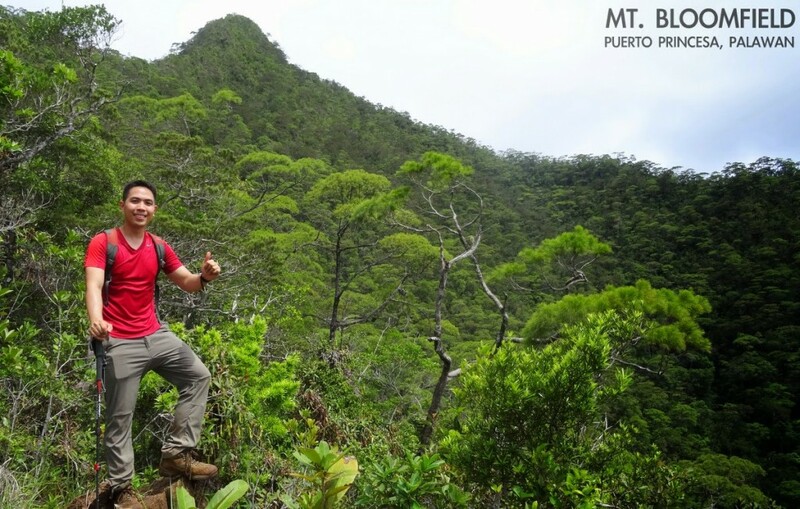 PUERTO PRINCESA – Palawan is truly a hiker’s paradise. Yesterday, two weeks after I did the beautiful Mt. Beaufort (Hiking matters #405), I hiked up Mt. Bloomfield in Sabang. 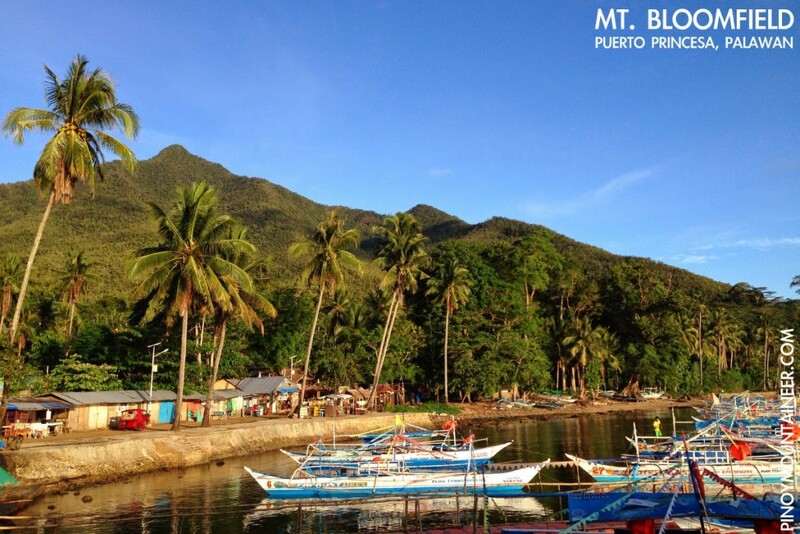 Visitors to Palawan’s famed Underground River would recognise this mountain as the one that sits right behind the shops and beaches of Sabang – and the mountain you would see looming in front as you return from the River. In fact, Mt. 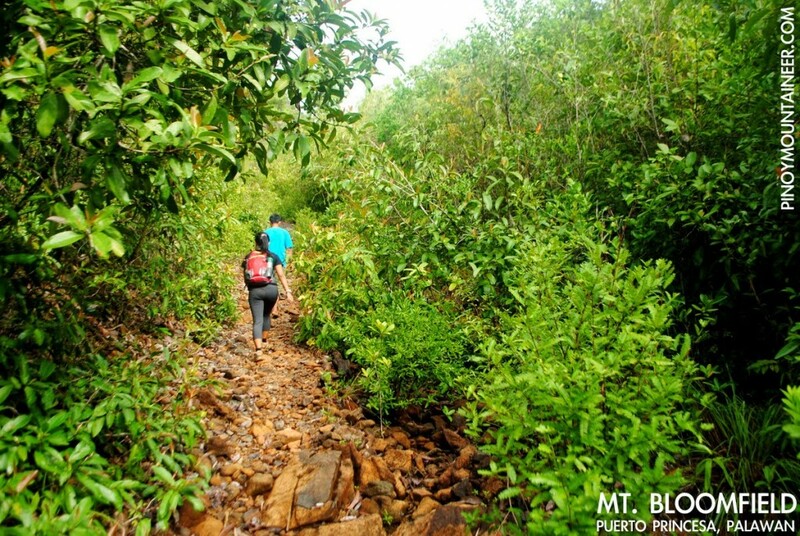 Bloomfield is within the Puerto Princesa Subterranean River National Park and is thus within a World Heritage Site. 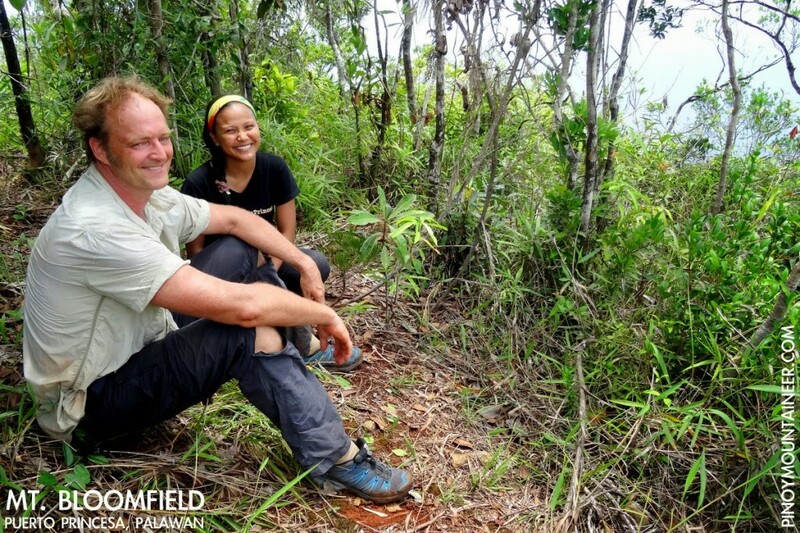 This time I was accompanying my Dutch friend, Jip op den Kamp, and I was joined once again by Puerto Princesa environmentalist Jessa Garibay, who organised the hike for us. Leaving Puerto Princesa at 0540H, we arrived in Sabang at 0700H, then made arrangements with the helpful staff at the Visitors’ Center, who provided one of the park rangers, Kuya Aying, as our guide. 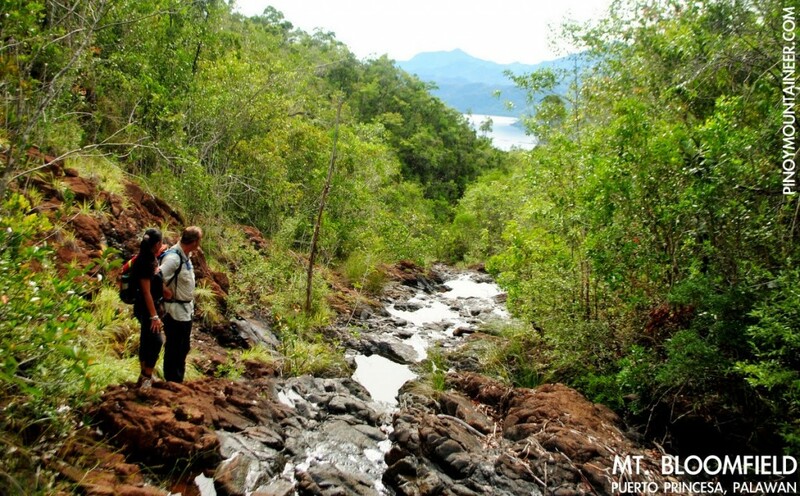 The hike starts at level – from the beach of Sabang. The trail enters ultramafic forests and much of the trail is rocky – featuring greywacke and peridotite with intermittent hiatuses of gentler forest soil. Gradual at first, the trail passes along and through a stream where hikers on rainy months could see a seasonal waterfall. 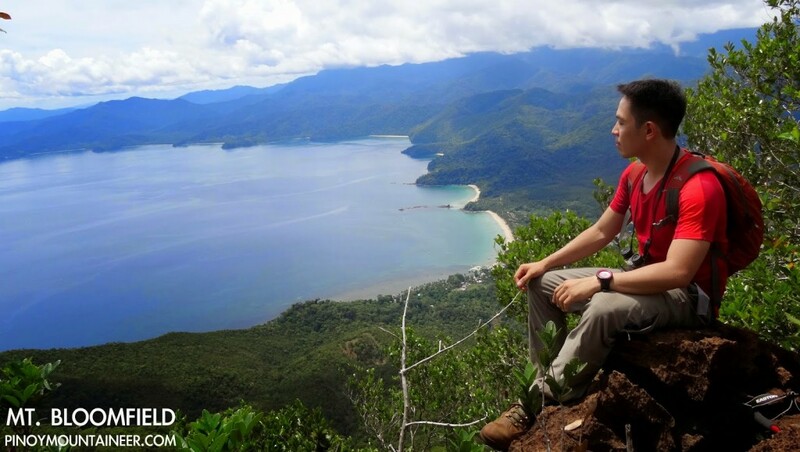 We, however, had to content ourselves with the river – which inaugurates a view of Sabang beach that would grow in beauty as we went higher. Past the stream – which also counts as the only water source for the mountain, the trail gets steeper, but there are always branches to hold on to. I can imagine, though, that the rocky parts would be more difficult when it’s raining. 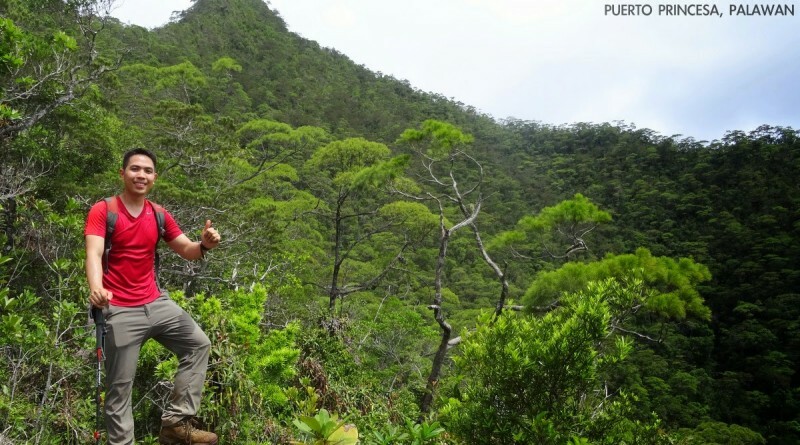 Kuya Aying says that there are no limatiks in the mountain, so the challenge would be more of the slippery trails. 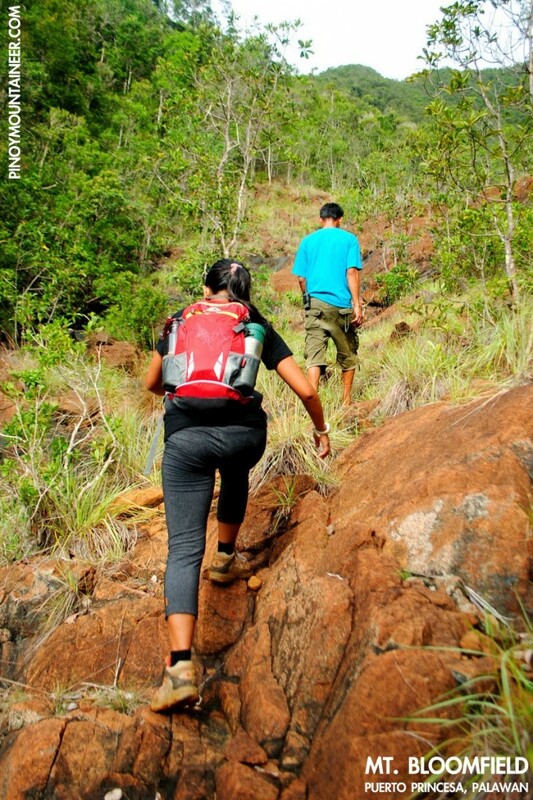 Though there are steep parts, the trail is straightforward, albeit a bit overgrown: be prepared for the occasional rattan and other thorny plants. One can peek through the trees and see the beautiful coastline: a foretaste of the best views that are yet to come. After three hours, we reached the viewpoint, which at just over 700 MASL is the final rest stop before approaching the summit. There, the view was fantastic – the beaches, the islets, and the sea – extending all the way to the town of San Vicente. To the north, meanwhile, the karst mountain, Mt. 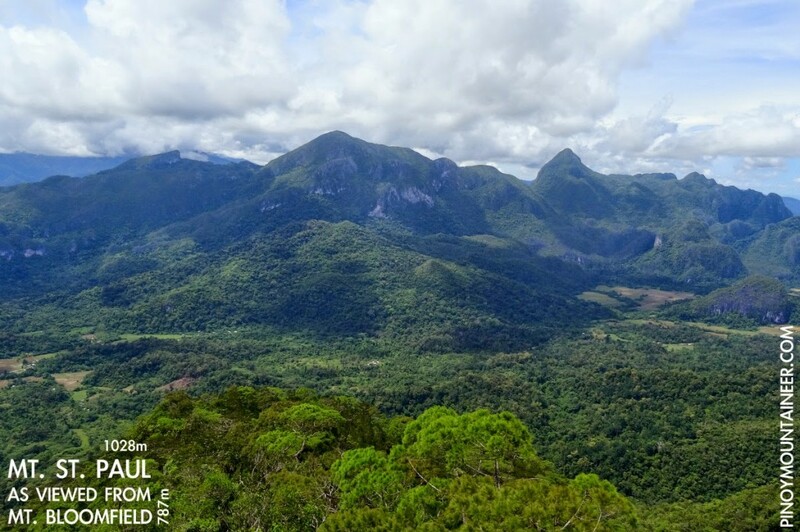 St. Paul, within which lies the Underground River and its caves, stands majestic – its complex contours defying description and inciting the imagination (there is, once again, a ‘Susong Dalaga’). I am also pleased to report a sighting of a distant Mt. 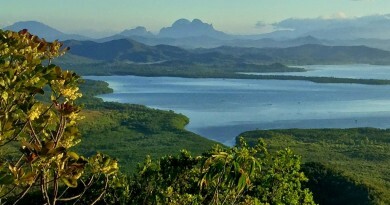 Capoas in Taytay municipality – at 1030 MASL one of the highest peaks in Northern Palawan. 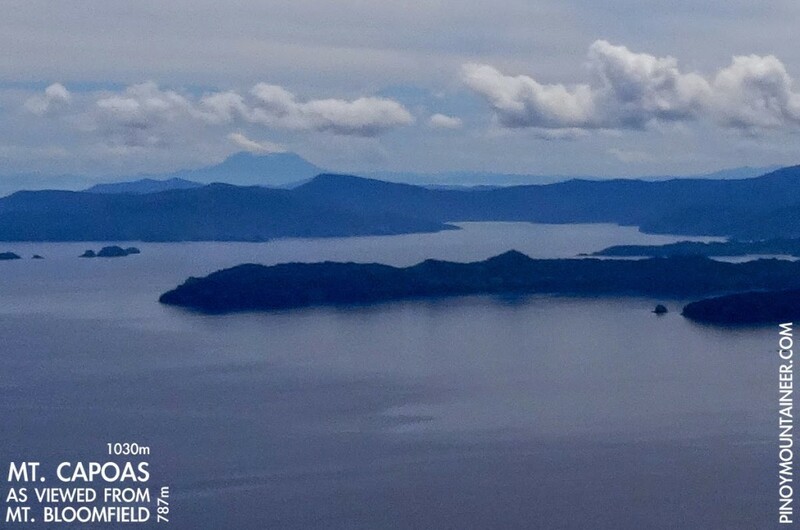 Though the aerial distance is only 80 kilometres, I can imagine that this mountain at the Malampaya Sound is quite a trip from Puerto Princesa – I hope I can also climb this distant peak someday! It took us another 15-20 minutes to reach the summit, gaining 80 more meters in a rather steep trail – again, through ultramafic rocks. There was nothing much to see at the summit – though we saw a traverse trail that could potentially make this mountain an even more exciting hike! We descended, had lunch at the viewpoint, and by 1600H we were having ice cold beers in Sabang. What a refreshing hike! Dank je wel Jip for initiating this hike and driving; and thank you Jessa for this second hike during my Palawan stay! Looking forward to more! 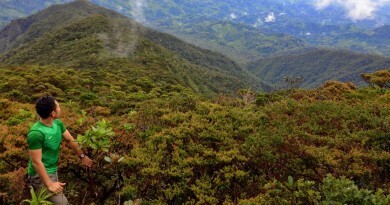 Rat-eating pitcher plant discovered in Victoria Peak – and this mountain is about to be featured in PinoyMountaineer!